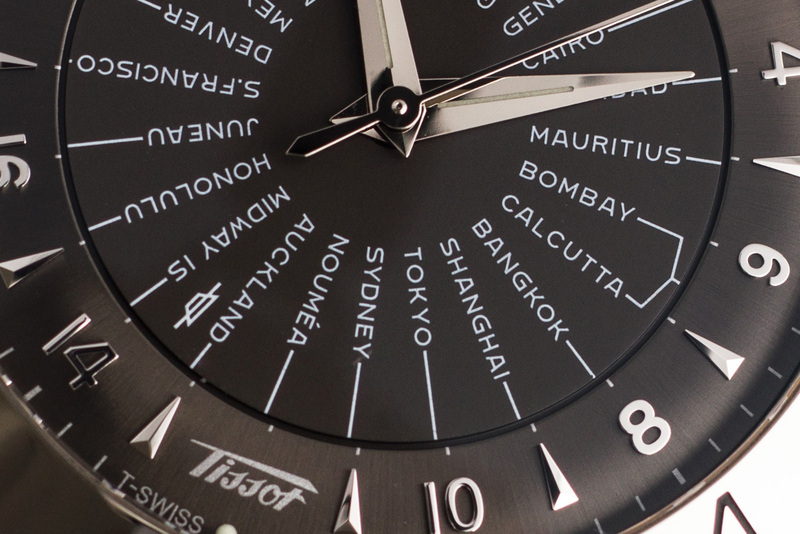 We truly love this re-issue of Tissot’s Heritage Navigator which was inspired by the one from 1953. 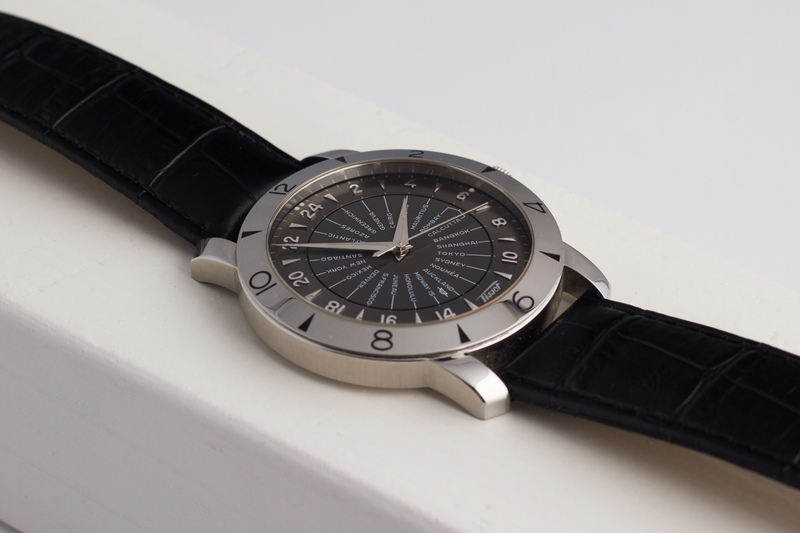 This Navigator watch, which nowadays is better known as a Worldtimer, was introduced in 2013 to celebrate the 160th anniversary of the brand and its rich watch-history. This particular Tissot has a beautiful anthracite dial with wonderful thick applied Arabic numerals and Tissot’s 1950’s logo at the six o’clock position. We also like the fact that the dial features the T-SWISS MADE-T printing at the bottom of the dial – truly in line with it’s vintage predecessor. Another feature worth mentioning are the wonderful and large ‘sword hands’ As a lot of information is provided through the dial to the wearer of the watch, the hands provide excellent overview and clearness. 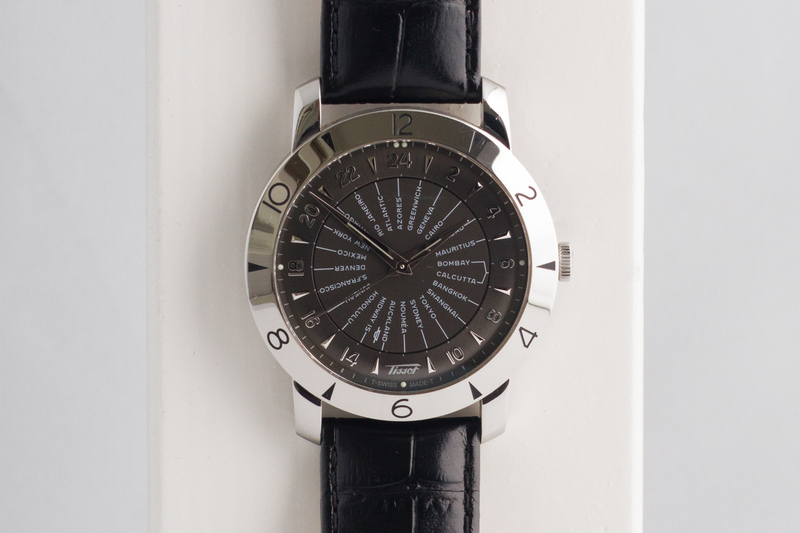 The case size is a modern 43mm while the height is a modest 9.6mm, this makes it a very wearable watch and not least because it’s also a lightweight one. 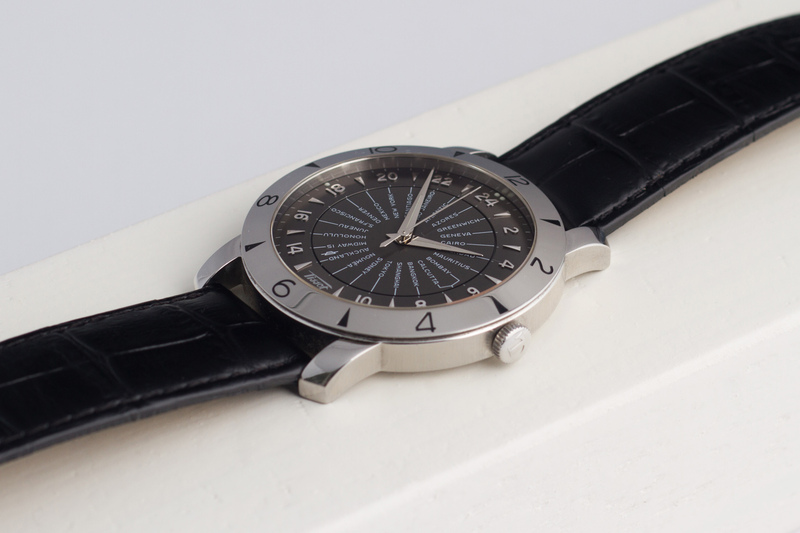 The crystal on this Heritage Navigator is a gently domed sapphire and matches perfectly with the rest of the ‘vintage’ design. 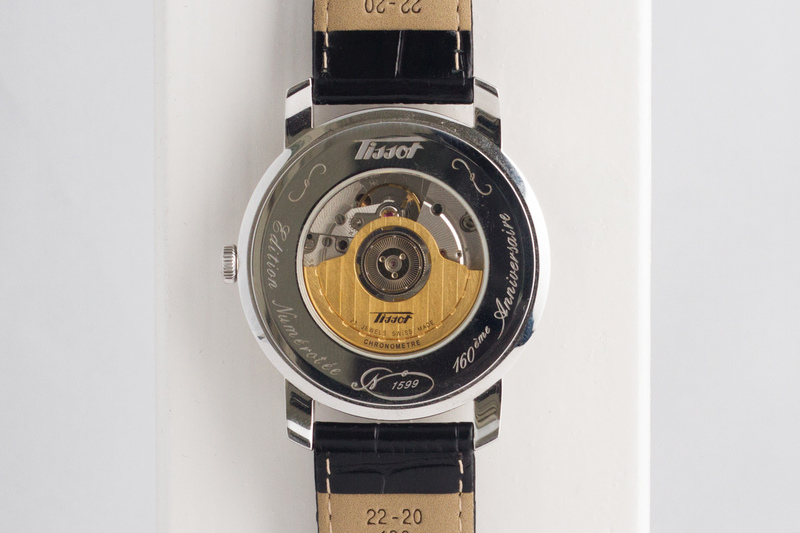 The movement is a COSC certified eta 2893-3 and runs like a champ! This Heritage Navigator Worldtimer with it’s wonderful retro look is a full set and is accompanied by all the original goodies and still has 16 months of brand warranty left! 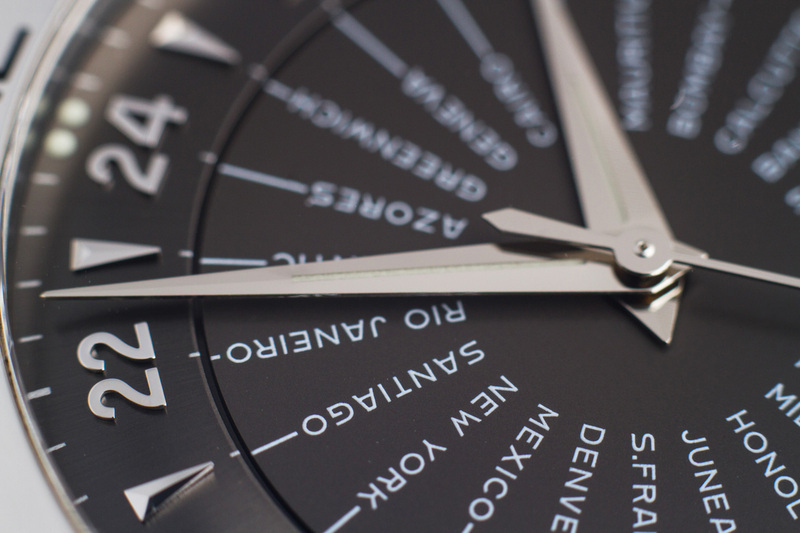 Looking for a vintage inspired Swiss mechanical watch with one of the coolest complications around? Look no further!